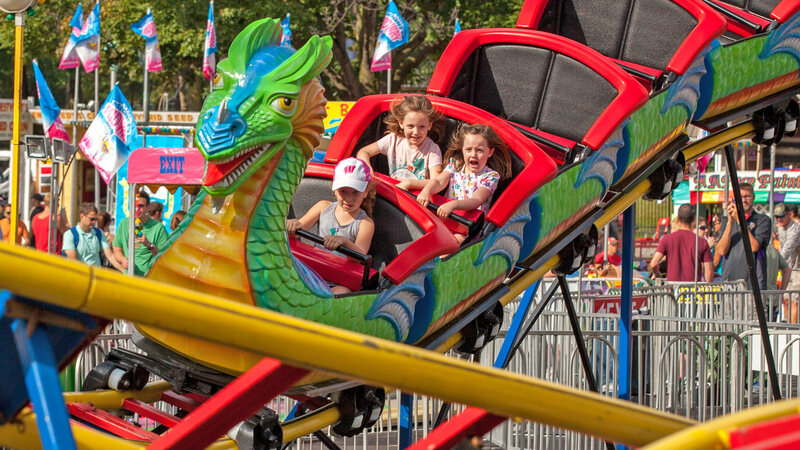 Kidway features rides and games of skill for children and families, as well as excellent food options! Pick up the State Fair’s Blue Ribbon Bargain Book to save even more at Kidway! Several specific Mighty Midway & Kidway rides also feature discounts in the Bargain Book. Get yours for just $5. $40 for a 54-ticket sheet.